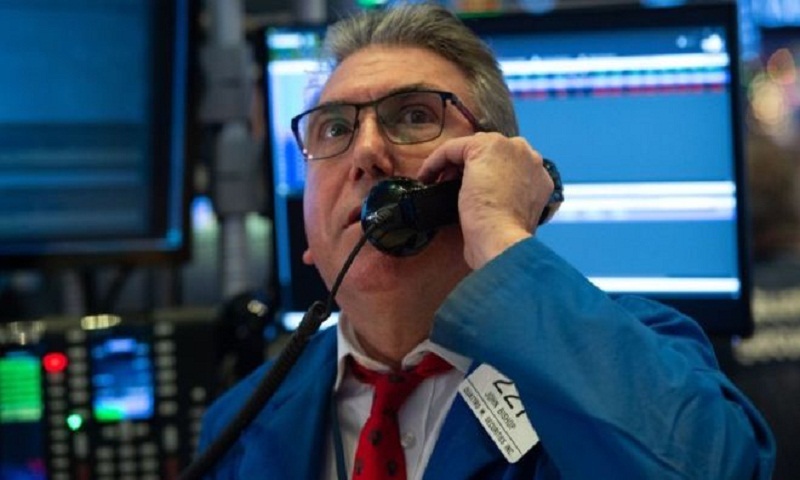 US stocks suffered one of the worst weekly falls in a decade as trade tensions with China, interest rate rises and a possible government shutdown rattled markets. However, selling set in by afternoon with some of the major technology firms - that led the market's rally earlier this year - experiencing some of the most bruising falls. Facebook and Twitter both tumbled more than 6%, Amazon dropped more than 5%, and Apple and Microsoft slipped more than 3%. For the day, the Nasdaq index fell almost 3%, the S&P 500 tumbled more than 2%, and the Dow slid 1.8%. Some economists argue that the steep Wall Street sell-off does not reflect conditions in the wider economy, which grew at an annual pace of 3.4% in the most recent quarter. Consumer sentiment also remains strong, according to the most recent data. However, the fears on Wall Street could spread in the event of a prolonged downturn, analysts warned. "If these expectations begin to shift, then we would expect to see more downward pressure on sentiment and spending patterns in early 2019," Oxford Economics said.